A-HOTEL.com - Luxury and cheap accommodation in Krasnyy Oktyabr', Russia. 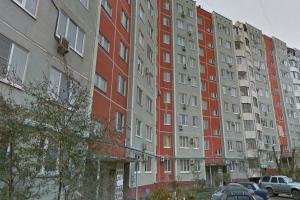 Prices and hotel, apartment booking in Krasnyy Oktyabr' and surrounding. Located in Volgograd, 5 km from Motherland Monument and 6 km from Volgograd Arena, Apartment on 39 Gvardeyskaya offers air conditioning. The apartment, set in a building dating from 2003, is 9 km from River Port and 3. Apartment near Mamaev Kurgan enjoys a location in Volgograd, just 5 km from Motherland Monument and 5 km from Volgograd Arena. With city views, this accommodation features a balcony. Located on the famous Mamayev Hill in a large park, this hotel offers scenic views of Volgograd and free Wi-Fi. It offers a historical café and museum, and rooms with flat-screen TVs.